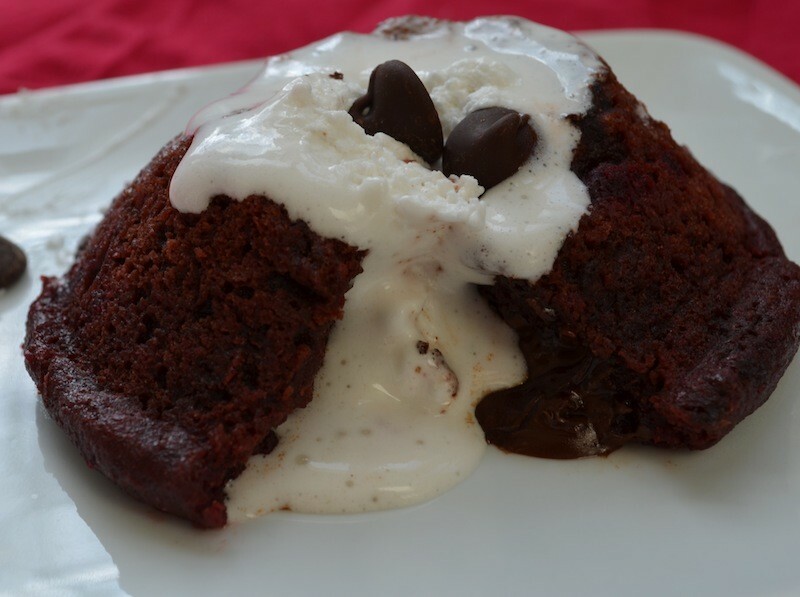 Looking for a vegan and gluten-free Valentine's Day dessert that is delicious, decadent, and sure to impress whomever is lucky enough to be your Valentine this year? We've got you covered with this lava cake. 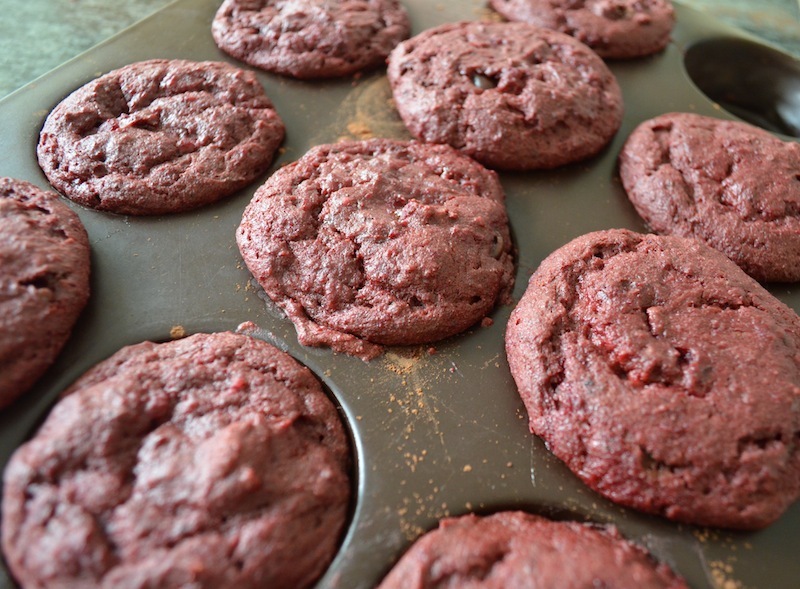 This recipe even includes a healthy serving of beet purée, which gives the cake a gorgeous and festive red hue as well as a variety of antioxidants and Vitamin C. My kids devoured their lava cakes even though they aren't the biggest beet fans. 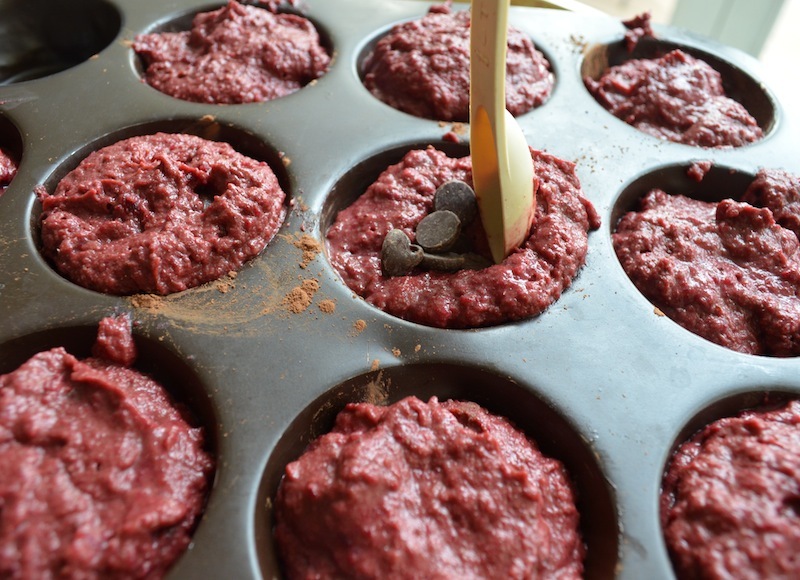 The smooth beet purée is undetectable: everyone will be too busy scooping up the delicious chocolate goo from inside the cakes to even notice. Spread the love this February 14th with a sweet treat for a special occasion. 2. Prepare the beet purée. 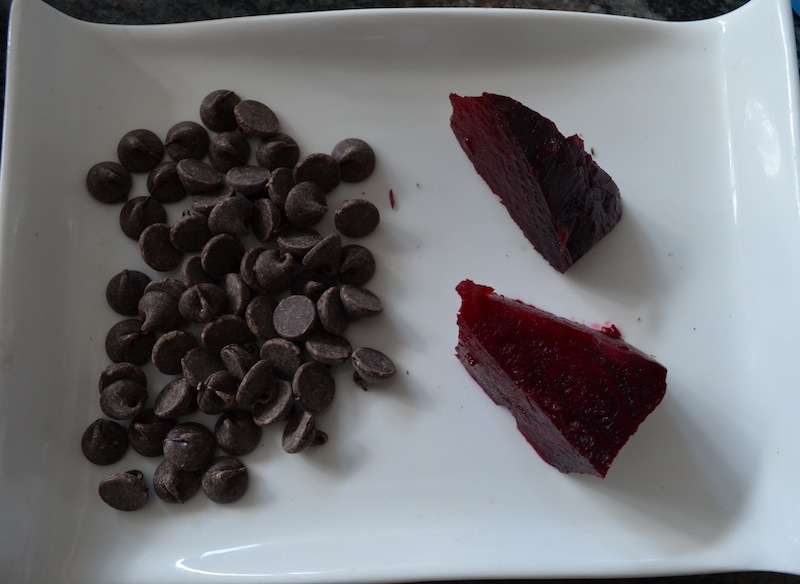 Prepare the beet purée the day before or earlier in the day if possible. Roast a beet for about an hour, until it can be pierced easily with a knife. Let the beet cool until you can handle it easily. Slip off the skins and then chop the beet into smaller pieces. 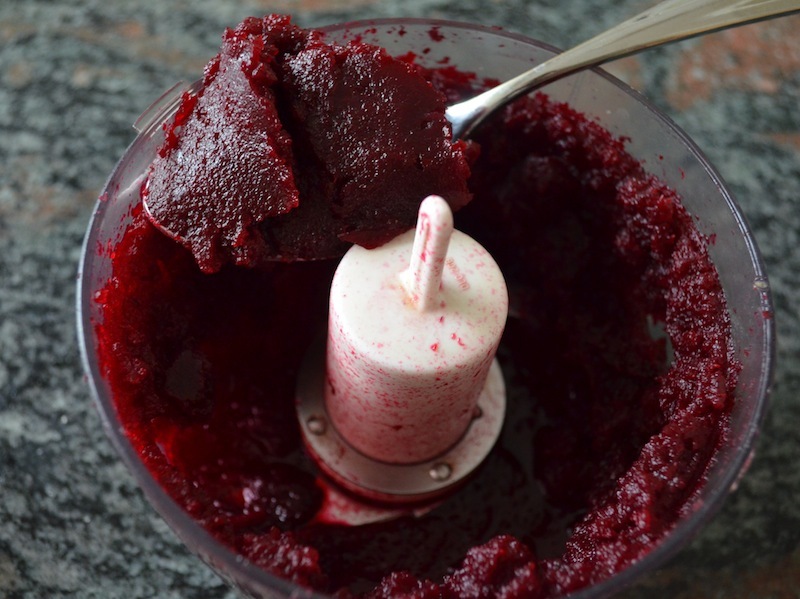 Process in a mini food processor until the beet is smooth. Half of a medium-large sized beet yielded 1/2 cup of purée. Use any extra beet in salads, sandwiches, tossed with pasta, etc. 3. Make the “buttermilk” and mix in the wet ingredients. Add the non-dairy milk and the apple cider vinegar into a large bowl, mix, and let sit for a few minutes to curdle. While you are letting the buttermilk form, melt the chocolate chips and coconut oil together in a small pan over medium heat, stirring occasionally until you have a smooth mixture. 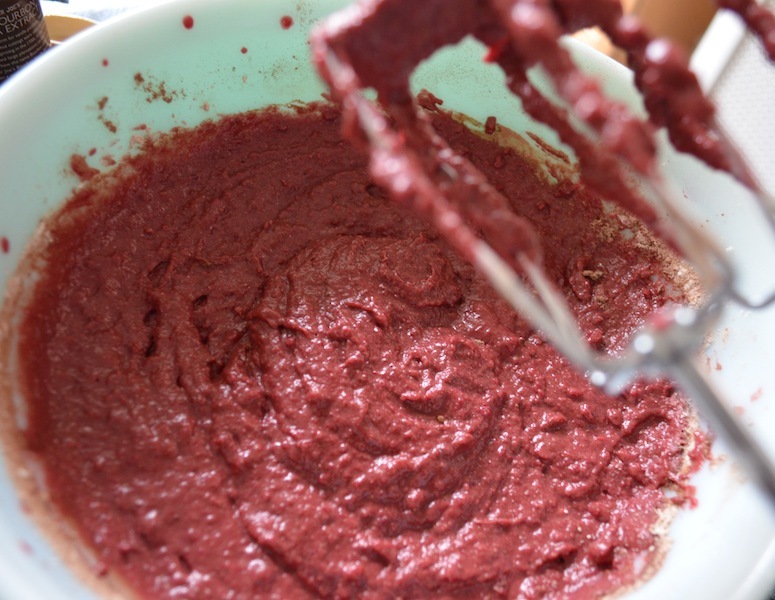 Remove from the heat and add to the bowl along with the beet purée, applesauce, vanilla extract, and sugar. Beat well. Add the gluten-free flour, xanthan gum, baking powder, sea salt, and cocoa powder to the bowl. 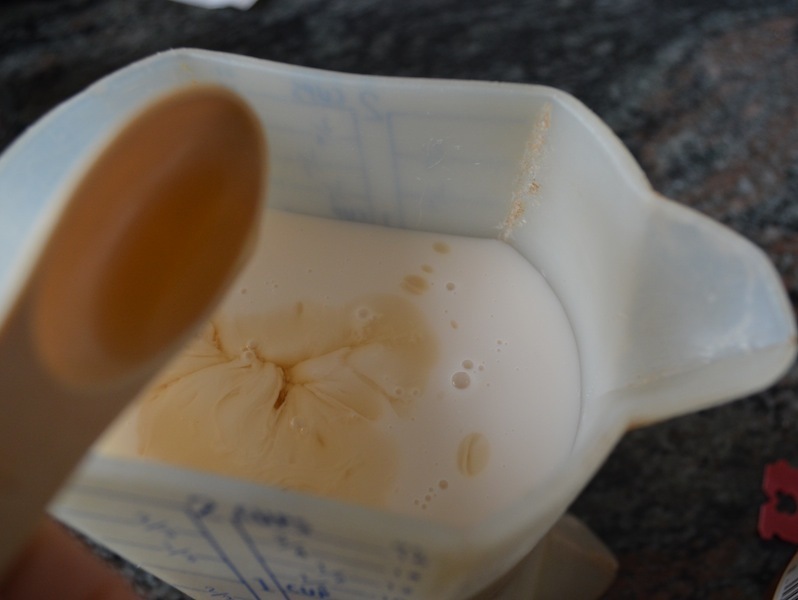 Beat again until the batter is smooth, but do not overmix. 5. Put the batter into the cupcake tin. Prepare the cupcake tin. Using coconut oil, vegan butter, or a cooking spray, coat the insides of 10 cupcake “holes” Sprinkle with cocoa powder to keep the lava cakes from sticking. Scoop the batter into the tins. The tins will be nearly full. 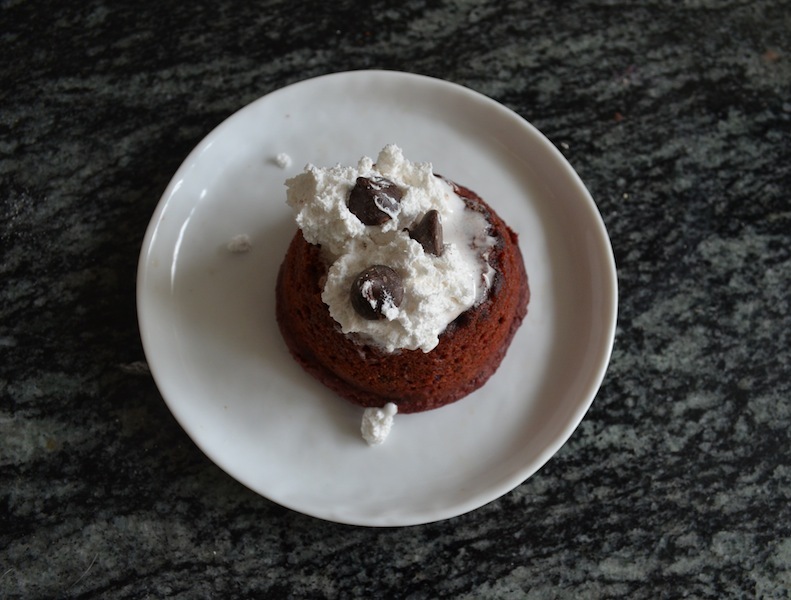 Using a spoon or funnel, add several chocolate chips or a large chocolate chunk into the center each cake. Cover with batter. The more chocolate you put in the middle, the gooier and more lava-like the center will become. Bake the lava cakes for about 17 minutes. The top should look dry. Remove from the oven and let sit for 3-4 minutes. Run a knife around the edge of the tins to detach the cake from the sides and then flip/invert the cake. Serve topped with whipped cream and additional chocolate chips as desired. If you have leftovers, you can reheat them in the oven or microwave briefly, but make sure the center is not too hot for little ones. Enjoy! 3. Make the "buttermilk" and mix in the wet ingredients. Prepare the cupcake tin. Using coconut oil, vegan butter, or a cooking spray, coat the insides of 10 cupcake "holes" Sprinkle with cocoa powder to keep the lava cakes from sticking. Scoop the batter into the tins. The tins will be nearly full. Serve warm topped with whipped cream and additional chocolate chips as desired. If you have leftovers, you can reheat them in the oven or microwave briefly, but make sure the center is not too hot for little ones. Enjoy!